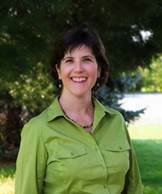 The Blue Ridge Area Food Bank announces today the hiring of Karen J. Ratzlaff as its new Chief Philanthropy Officer. She succeeds Michael McKee, who left that position to lead the Food Bank as CEO in May. Ratzlaff joined the Blue Ridge Area Food Bank team in July to lead its fundraising and communications team, and to share with donors, volunteers and friends the face of hunger in our community. Most recently, Karen served as the Director of Development at Hospice of the Piedmont from 2007 to 2013. She worked with donors and friends to create an endowment for Hospice House and grow sources of revenue to ensure that quality end-of-life and grief services were available to all. Prior to her tenure with Hospice, Karen worked for more than 13 years at the University of Virginia School of Nursing. She has also worked as a private fundraising and alumni engagement consultant. Karen graduated from the College of William & Mary in Williamsburg and earned a master’s degree in education from the University of Virginia in 2008. She resides in Charlottesville with her husband and two children. Founded in 1981, the Blue Ridge Area Food Bank is the largest organization alleviating hunger in western and central Virginia. Headquartered in Verona, VA, the Food Bank serves 25 counties and nine cities through distribution centers in Charlottesville, Lynchburg, Winchester and Verona. The Blue Ridge Area Food Bank distributes more than 21 million pounds of food annually to 113,000 people each month through a network of 250 community partners – food pantries, soup kitchens, shelters, schools, churches and other non-profit groups. The Food Bank is a member of Feeding America, a national food bank association that supports 202 food banks across the United States. For more information, visit www.brafb.org.